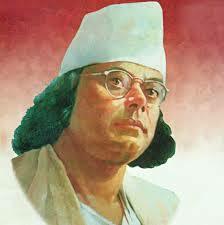 Kazi Nazrul Islam was born 25 May 1899. He died 29th August 1976. Bidrohi Kobi (Rebel Poet), popularly known as Nazrul. He was a Bengali poet, musician and revolutionary poetry began intense spiritual rebellion against fascism and oppression advocate. His poetry and nationalist activism earned him the coveted title of Bidroh? Kobi (Rebel Poet). Reach a large number of works known for his life, Nazrul is officially recognized as the national poet of Bangladesh and celebrated in India. Born in a Muslim Qazi (Kazi) family in India Nazrul received religious education and worked as a muezzin at a local mosque. He learned of poetry, drama, and literature while working with theatrical groups. After Nazrul established in the British Army in India, as a journalist in Kolkata. He attacked the British Raj in India and preached revolution through his poetic works, such as “Bidrohi” (“The Rebel”) and “Bhangar Gaan” (“The Song of Destruction”), and their publication “Dhumketu” (“The Comet” ). His impassioned activism in the Indian independence movement often led to his imprisonment by the British authorities. While he was in prison, Nazrul wrote the “Rajbandir Jabanbandi (” Deposition of a Political Prisoner “). Exploring the life and conditions of the downtrodden masses of India, Nazrul worked for their emancipation. Nazrul writings explore themes such as love, freedom and revolution, such sectarianism against, including religious and gender. Throughout his career, Nazrul wrote short stories, novels and essays, but is best known for his poems, in which he introduced new forms such as Bengali ghazals. 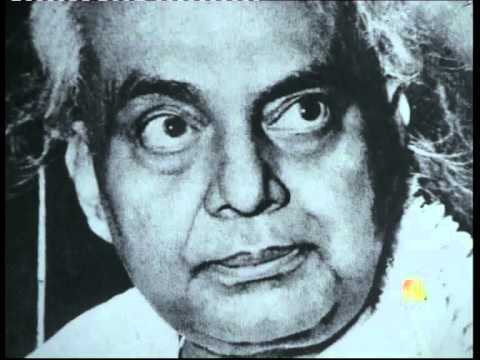 Nazrul wrote and composed music for his nearly 4,000 songs (including records), which collectively as Nazrul Geeti name (Nazrul songs), which are very popular today. At the age of 43 (in 1942) he began suffering from an unknown disease, losing his voice and memory. It is often said the reason was slow poisoning by British Government. It caused Nazrul’s health decline steadily and forced to live in isolation for many years. At the invitation of the Government of Bangladesh, Nazrul and his family moved to Dhaka in 1972, where he died four years later. Kazi Nazrul Islam was in the village near Asansol in Burdwan district Churulia Bengal province of undivided India (now in West Bengal) was born. He was born into a Muslim family Taluqdar powerful and was the second of three son and a daughter, was the father of Kazi Nazrul Faqeer Ahmed Imam and the caretaker of the local mosque and mausoleum. Zahida Khatun Nazrul’s mother was. Nazrul had two brothers, Kazi and Kazi Ali Hussain Saahibjaan, and a sister, Umm Kulsum. Nicknames Dukhu Mian (literally “man Mr. Sad” This pain), Nazrul began attending the Maktab and Madrasa of the mosque and dargah where he studied the writings of the Koran and other running philosophy and Islamic theology. His family was devastated by the death of his father in 1908. At the age of ten, Nazrul began working in his father’s place as a caretaker to his family and help teachers in the school to support. He later became the muezzin of a mosque. Attracted by the popular theater was one Nazrul leto (traveling theatrical group) run by his uncle Fazl e Karim. Working and traveling with them to learn, action, as well as writing songs and poems for the plays and musicals. Through his work and experiences, Nazrul began learning Bengali and Sanskrit literature and Hindu scriptures such as the Puranas. In 1910 left Nazrul the company and enrolled in the School of Searsole Raj Raniganj (where he came under the influence of the teacher, activist and revolutionary Jugantar Nibaran Chandra Ghatak, and initiated life-long friendship with fellow author Sailajananda Mukhopadhyay, the classmate was) and then English in high school Mathrun study with the director and writer Kumudranjan Mallik. Continue to pay his school fees, Nazrul left the school and joined a group of kaviyals. He later worked as a cook and most famous bakery / Abdul Wahid Wahid and tea stand space in the city Asansol. In 1914, Nazrul studied Darirampur School (now Jatiya Kabi Kazi Nazrul Islam University) in Trishal, Mymensingh District. Among other subjects, Nazrul studied Bengali, Sanskrit, Arabic, Persian and Hindustani classical music literature under teachers who were impressed by his dedication and skill. The study up to class X Nazrul did not appear for the registration of pre-test examination, enlisting instead in the Indian Army in 1917 at the age of eighteen. He joined the British army mainly for two reasons: First, the young romantic inclination to respond to the unknown and, secondly, the reputation of the policy 49 to Bengal was Attached to the quarters in Karachi, where. wrote his prose and poetry. Although he never actively fighting, he rose to the rank of corporal Havildar, he was mayor of his battalion. During this period, Nazrul read extensively, and was deeply impressed by Rabindranath Tagore and Sarat Chandra Chattopadhyay, as well as influenced the Persian poet Hafez, Rumi and Omar Khayyam. He learned Persian poetry Punjabi Moulvi Regiment, practiced music and pursued his literary interests. His work in prose (“The Life of a Vagabond”) in May 1919, “Baunduler Atmakahini” was published. His poem “Mukti” (“Freedom”) was published by the “Bangla Sahitya Patrika Must Alman” (“Bengali Muslim Literary Journal”) in July 1919. In 1933, Nazrul published a collection of essays titled “Modern World Literature”, in which he analyzes different styles and themes of literature Between 1928 and 1935 he published 10 volumes with 800 songs, of which more than 600 were on classical ragas. Almost 100 were folk tunes after kirtans and 30 were patriotic songs. since the moment of his return to Kolkata until he fell ill in 1941, Nazrul composed more 2600 songs, many of which went lost. His songs baul, jhumur, jhanpan Santhali folk songs, folk songs, or snake charmers base bhaoaia Bhatiali and melodies of folk songs, composed on the one hand, and a refined poetry lyrical beauty of the other. Nazrul also wrote and published poems for children. 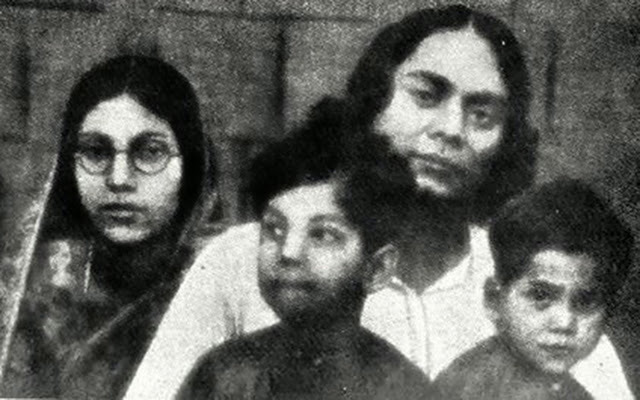 Nazrul wife Pramila Devi seriously ill in 1939 and was paralyzed from the waist down. To provide medical treatment for his wife, he resorted to pledge the royalties of his records and literary works for 400 rupees. 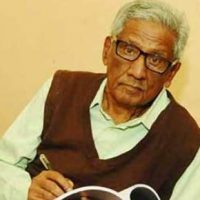 He returned to journalism in 1940, working as editor of the newspaper “Nabayug” (“New Age”), founded by the eminent Bengali politician AK Fazlul Huq. Nazrul was also by the death of Rabindranath Tagore on 8 August 1941 shocked. He spontaneously emitted two poems in Tagore store together, one of which “was Rabihara” (loss of Rabi or without Rabi) on All India Radio. Within months, Nazrul himself fell seriously ill and gradually lost the ability to speak. 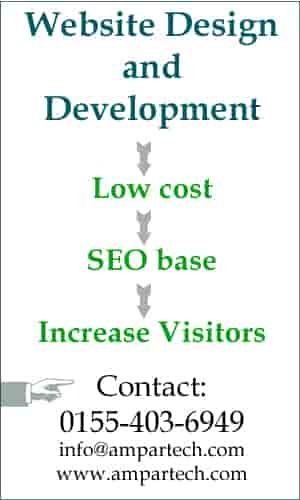 His behavior became erratic, and spending recklessly, he fell into financial difficulties. Despite his illness, his wife always worried about her husband. However, Nazrul’s health seriously deteriorated and he became increasingly depressed. He underwent medical treatment in homeopathy and Ayurveda, but little progress was achieved before mental dysfunction intensified and he was admitted to an asylum in 1942. After four months without progress began Nazrul and his family live a quiet life in India. In 1952 he was transferred to a psychiatric hospital in Ranchi. Thanks to the efforts of a large group of admirers who called himself the “Nazrul Treatment Society” as well as prominent supporters such as Syama Prasad Mookerjee Indian politics, society sent Nazrul treatment Promila to London, then a processing Vienna. Review of doctors said that he had received poor care, and Dr. Hans Hoff, a leading neurosurgeon in Vienna, diagnosed that Nazrul was suffering from Pick’s disease. His condition judged to be incurable, Nazrul returned to Calcutta 15th December 1953. On 30 June 1962 his wife Pramila died and Nazrul remained in intensive care. 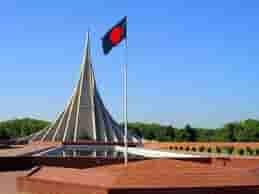 On 24 May 1972 was the newly independent nation of Bangladesh in Dhaka Nazrul live with the consent of the Government of India. 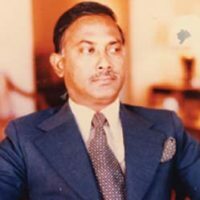 In January 1976 he received the citizenship of Bangladesh. In spite of the care and attention has not improved Nazrul physical and mental health. In 1974, his youngest son, Kazi Aniruddha, an eminent guitarist died, and Nazrul soon his old evil on 29 Died August 1976. After the request he had made in one of his poems to express, he was buried beside a mosque on the campus of the University of Dhaka. Tens of thousands of people came to his funeral, Bangladesh observed two days of national mourning and the Indian Parliament observed a minute of silence in his honor.